Indian Event Industry Converges at PALM Soundscape 2018. 8th PALM DJ Championship a huge success. PALM Expo 2018 launched the world’s first Indoor Compact Line Array Demo. IRAA 2018 honours the best in the sound recording and music production industry. PALM Expo 2019 Early Bird Booth Booking ends 31st July, 2018. Hurry, book your space your now! Early Bird 5% discount ends 31st July 2018. Book your booth now! 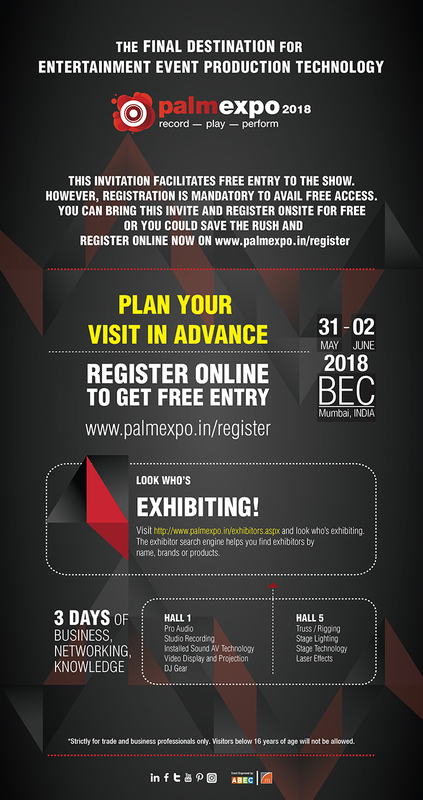 Invitation for free entry to PALM Expo 2018! Plan your visit now. 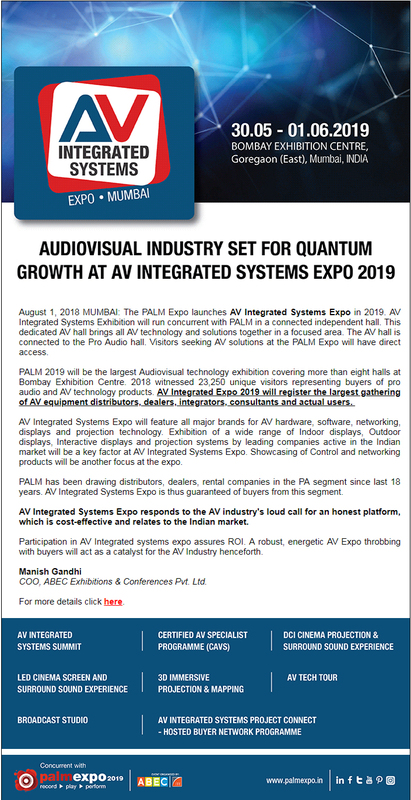 AV Integrated Systems Expo 2019.